After the success of our 5yo release from a couple of years ago, we were curious to try an older version of this unusually very smoky Speyside malt. This time the result is more intense and complex: while the clean background maltiness is still present, the fruity hints of pears and apples have been mostly replaced by creamy vanilla notes, a typical sign of a longer maturation. The big player, though, remains the peat smoke: huge, powerful, chewy and very heart-warming. And yet, it’s a different kind of peat from that of coastal distilleries: it’s more balsamic, with piney notes of resin, mint, camphor, and a hint of flowery character. 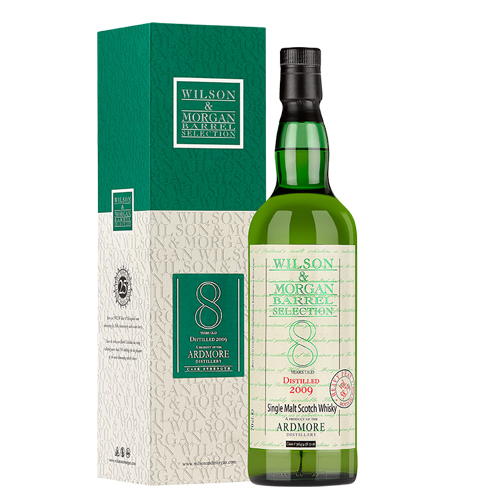 As exciting and peaty as a young island malt… but different enough to arouse the interest of any seasoned smokehead.